I adore running. At school I dabbled in it, and then again as part of the Athletics team at the University of Winchester. However, it wasn’t until I ran the Clarendon Marathon in 2014 that my real passion for running began - a decision which has shaped much of my life over the last three years. And truth be told...the original idea wasn’t mine. 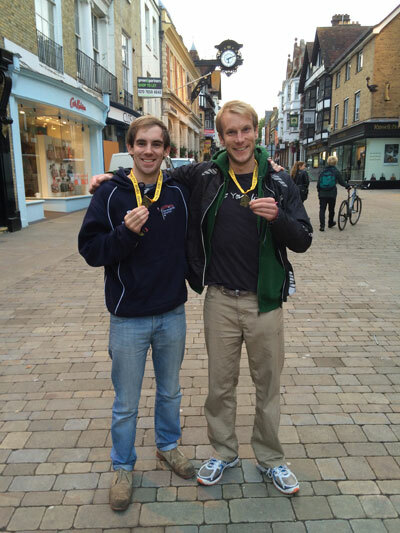 My best mate, Andy Bownds, was searching for a marathon in the area where we both went to university. He discovered the Clarendon, and signed us both up - telling me he’d pay for my entry as a birthday present...thanks Andy...I think!? At that point, I’d only ever participated in 800-meter events, so I felt out of my depth with 26-miles. ‘Tapering’? ‘Fueling Strategies’? ‘Recovery Runs’...? What were these things!? However, unable to say no to a challenge from my friend, I agreed to participate. As it was my first marathon, I wanted to dedicate the challenge to a good cause. Sadly at the time, a friend from university, Sadie, had been diagnosed with cancer and she said how beyond amazing St Christopher’s Hospice had been to her and her family. So I ran the event in support of her and the hospice, fundraising over the months whilst I trained. Eventually came the 5th October - race day! When we arrived, I remember feeling a little intimidated by how ‘professional’ everyone looked in their running gear. However, the nerves quickly settled after realising how friendly everyone was - organisers and fellow runners alike. At 10:30, the event began. Me and Bownds set off quickly. It was great fun running the trail routes through the woods, up the inclines and (especially) down the declines. A fresh Autumn day, the trail was especially scenic with the forest leaves turning brown. Then as we followed the route, the course opened up into some beautiful views in the more open areas. However, even with all the scenery as a distraction, I’d realised by mile 16 I’d overdone it and had to slow my pace. Bownds, feeling strong, continued. My memory actually goes a little blurry here from the fatigue and it being 3 years on, but a few particular things still stand out. Firstly, how amazingly encouraging the volunteers were at one of the welcome stations when I stopped for a proper drink to regroup. They reassured me on how well I’d done already and encouraged me to keep going. Then, at mile 23, when I was truly struggling and suffering from cramp, a fellow runner shouted: “Come on St Christopher’s (written on my back), you can do it!” The support of someone else when I needed it most, really spurred me on to jog/run to the end. And of course, I still remember the special moment of running along the final stretch at King’s School to cross the finish line and collect my medal - feeling proud I’d made it! 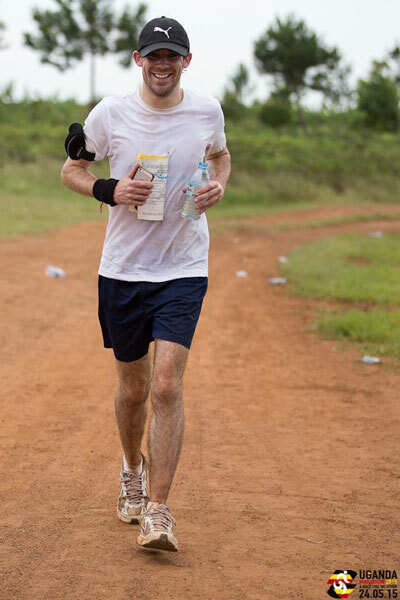 Afterwards, I didn’t have any immediate plans to race again, but Bownds ended up moving to Africa and getting a job with a charity called the Uganda Marathon (https://ugandamarathon.com) - a 7-day travel experience which mixes volunteering and running, all to support the local community. He invited me to participate, and once again in 2015, I found myself in another bout of marathon training. From there, fully under the influence of the running bug, I’ve run in numerous parkruns and around 20 further races. I was also invited back to the Uganda Marathon in 2016 and 2017 to help organise the event and help manage their social media. Alongside a passion for running, I also ended up discovering I really enjoy organising events and writing content...which all came from the decision to run the Clarendon in 2014. So, when the opportunity arose to join the committee for this year’s Clarendon Marathon, I couldn’t say no. It seemed perfect how I could use my love for running and experience from the Ugandan event to help organise this year’s race, the event where for me, it very much all started. I can’t wait for this year’s event, albeit for different reasons from when I ran in 2014. This year, it’s all about ensuring everyone running has as great a time as I had three years ago!